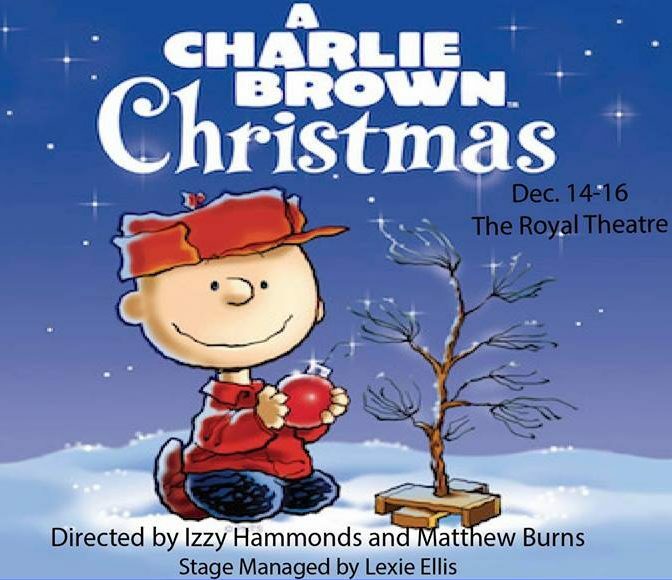 The Young Players proudly present A Charlie Brown Christmas Dec. 14-16 at the historic Royal Theatre, 111 South Main Street, in historic downtown Benton. Showtimes are 7 p.m. Dec. 14 and 15, with 2 p.m. matinees on Dec. 15 and 16. Ticket prices for the holiday classic are $15 for general admission, $12 for seniors, military and college students; and $6 for children through high school. Tickets may be purchased online at www.theroyalplayers.com or you may call 501-315-LIVE to make reservations and pay at the door. This show is made up of the Young Players Early Stages group which includes students in grades Kindergarten through 6th. The production is directed by Izzy Hammonds and Matthew Burns and made possible through contributions from Everett Buick GMC. A Charlie Brown Christmas by Charles M. Schulz, is based on the television special by Bill Melendez and Lee Mendelson, stage adaptation by Eric Schaeffer, by special arrangement with Arthur Whitelaw and Ruby Perrson, and is presented in cooperation with Tams-Whitmark Music Library, Inc. of New York. Come join Charlie Brown and all his friends as they search for, and ultimately celebrate, the real meaning of Christmas. The evening will start off with a Christmas Cabaret, featuring some Young Players Early Stages students and special guests. After the cabaret and a brief intermission, Charlie Brown, Snoopy, and the rest of the gang will begin their search for meaning among all the commercialism and chaos of Christmas.